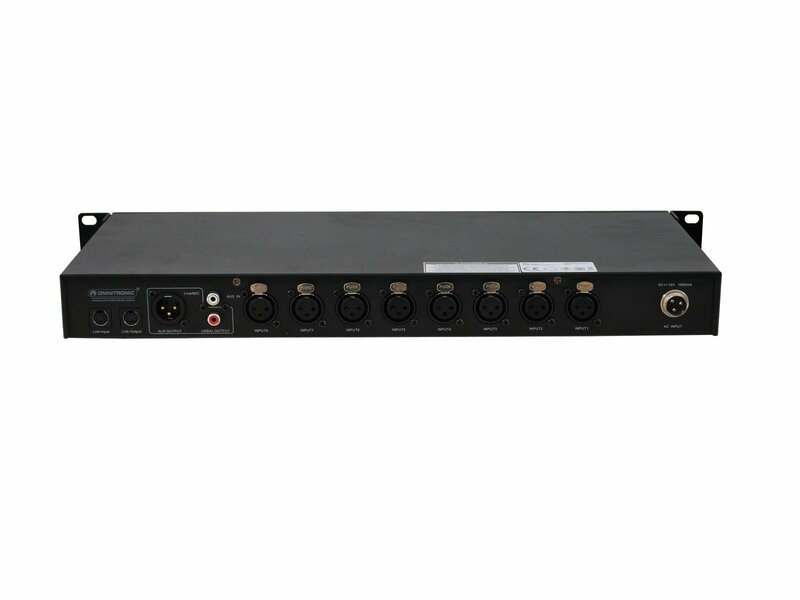 The OMNITRONIC AM-801 is a processor-controlled automatic audio mixer with eight inputs for connecting dynamic or condenser microphones and a further audio source (e.g. background music) in a single rack space. Using an automatic mixing algorithm, the AM-801 silently activates only the microphones being addressed and attenuates all other microphones that are not in use. This helps to minimize background noise and feedback which occurr when a large number of microphones is permanently open. Furthermore, with the priority function it is possible to give one or more microphones priority and to attanuate all other channels. The most recently activated microphones stays open until another microphone is activated (Last Mic ON function). 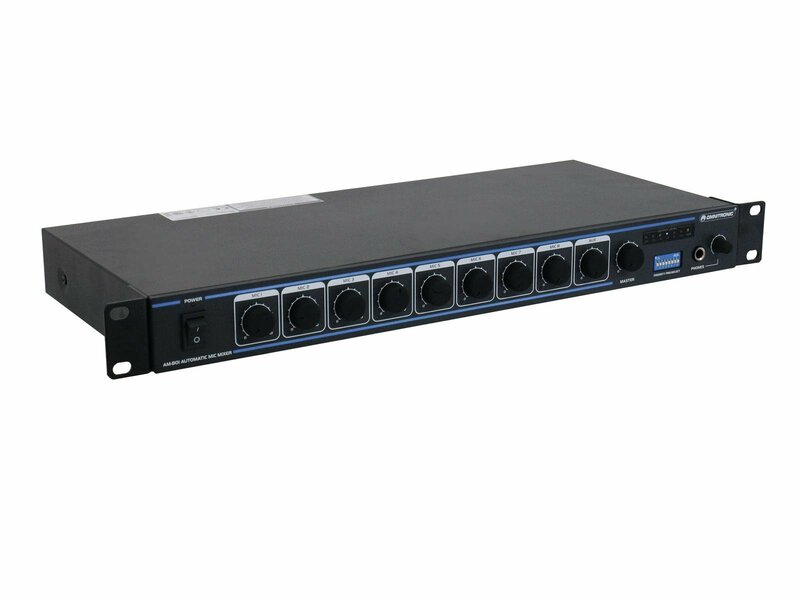 Up to 16 AM-801 can be coupled together for operation with up to 128 microphone channels. 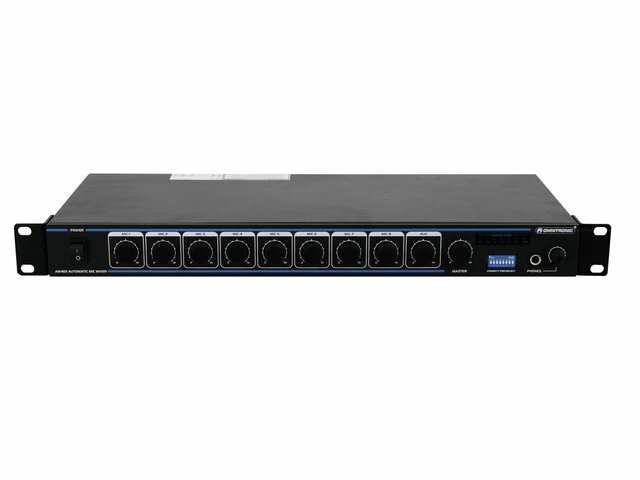 For monitoring purposes the AM-801 features a headphone output with level control. 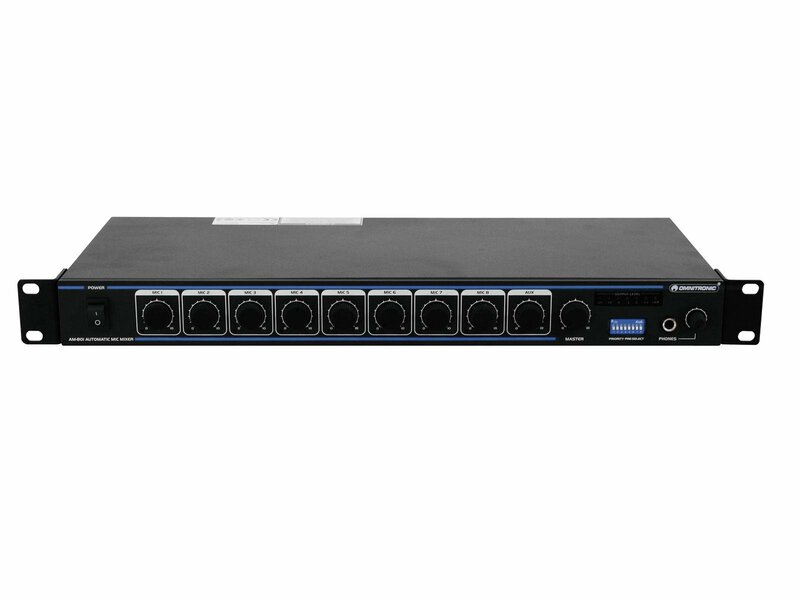 The AM-801 dramatically improves audio quality in any application where multiple microphones are required. The automatic mixer is easy to set up and simple to use and was designed for conferences, teaching centers, houses of worship, studios and broadcasting stations.